Re-purposed Baubles For the Vintage Soul. 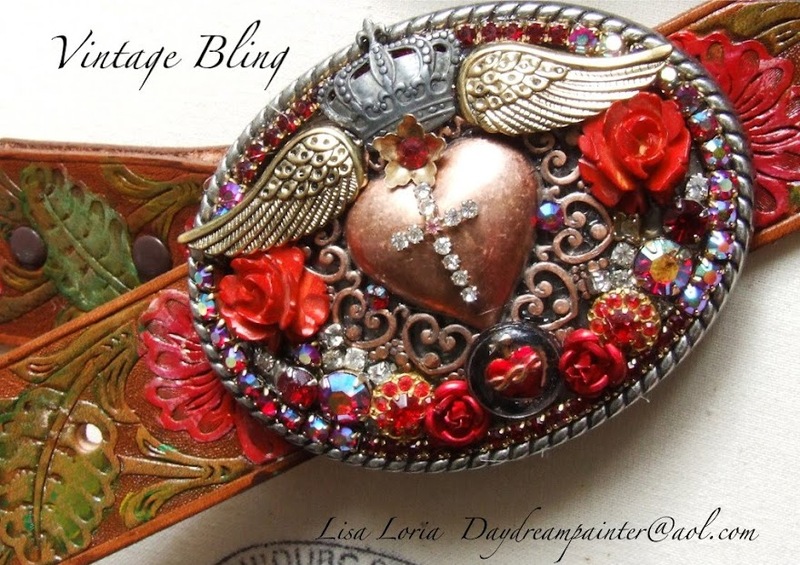 I have decided to close out the business "Vintage Bling". it is logical that I start a new blog. What a charming blog you have. It looks like you like jewels and vintage as I do. Me and my daughters just started a new blog, and we would love it if you coul visit us. The link is: http//redrosealley.blogspot.com. 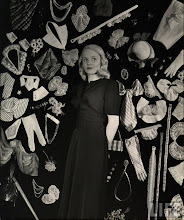 The latest post is "Home Treasures." It will give you a chance to get to know us, and if you like it, become a follower. I will continue to visit your blog. It has such vibrant colors, and makes me happy. My vintage jewelry phoenix shop should see this blog. I like this vintage design. Thanks for sharing. Bling Baby Classes August 7th Gilding the Lily in Fullerton. Contact DeDe Warren at Gilding the Lily. Click the photo for a link to their Blog. Joing "SHE" today. See no Evil, Speak no Evil and Hear no Evil. Click the picture to read about it. 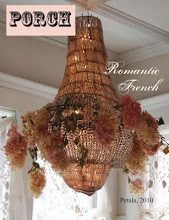 September 17th & 18th "Chateau de Fleurs" market place. Come join me at this wonderful outdoor show! Getting Ready for this amazin show!!! My Painting the Roses Red handbag is published in this months Haute Handbags issue! Hooray! A photo of my belt buckle made it into the most recent issue of Porch.What a beautiful magazine it is! Art is not just what I do, it is who I am. I Love My Family & Friends...look for the good in ALL people. Life is too short to not be True to yourself. I LOVE living by embracing who I am and accepting others for who they are. for very little financial gain. We make art because we LOVE it and it is what we NEED to do to express ourselves. Personally I work even harder at formulating and executing original concepts and designs. An artist without original concept, is not an artist at all, they are a copycat. Please respect this by not copying or reproducing my designs and other artists for that matter. At least you can ask first if you do...or I'll hunt you down...LOL, Just kidding. One can't help but smile when looking at these. Always a crowd favorite! 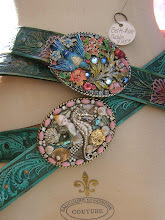 Chic painted Belts & One of a Kind Buckles! Antique Enamel Butterflies and Flowers...Gorgeous Blues! Sporting your monogram never goes out of style.